Waves Pacific Sources Premium Meats from all around the world. Our goal is to work with suppliers who are dedicated producers; committed craft people who believe that quality and consistency are the ideal goals. Mayura Station is located in the Limestone Coast, heart of some of the best farming country in Australia, ideal for producing the ultimate quality, award winning Wagyu beef. Mayura Station is situated in an area perfectly sculptured with rich healthy rolling hills and fertile soils. Combined with moderate climate, sparkling clean water, favourable and reliable rainfall. Its 100% Full-blood Wagyu cattle were imported into Australia in 1997 and just like thoroughbred horses, the herd’s ancestry, bloodlines and pedigree are a major distinguishing factor in the quality of our Full-blood Wagyu beef. WX by Rangers Valley is Wagyu, cross bred with the very best genetics to create something new and unique to a market looking for something rare and exclusive. Ours isn’t like other cross bred wagyu. It stands alone as a product because it’s not just abut the wagyu component-or marble score. Its about the newly developed and artfully crafted evolution. 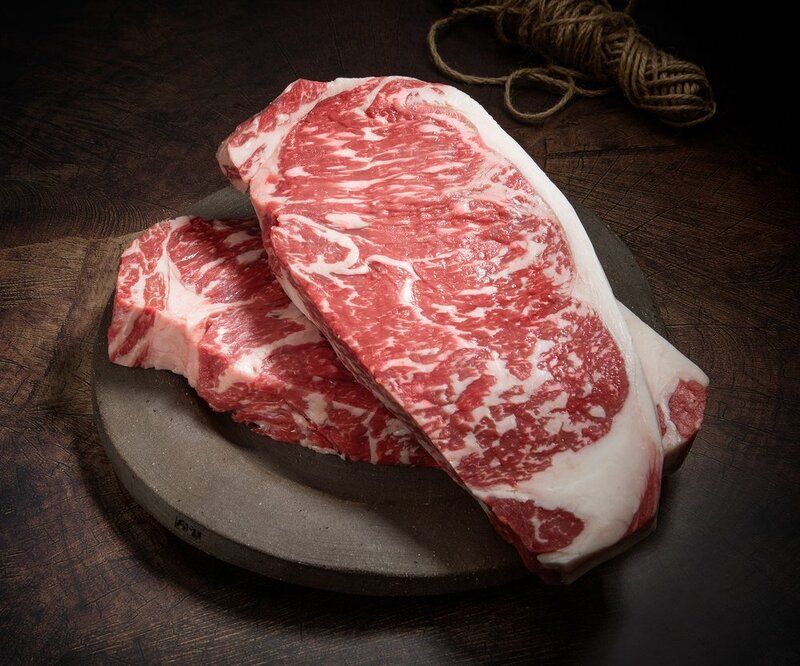 This evolution is equally the wagyu and marble score, plus a deliberate and artful cross breeding- a lineage nexus where one great ancient breed meets another to create a flavor, performance and undeniable quality that’s impossible to define. O’Connors Beef produces some of Australia’s best beef. Three family generations old the O’Connors have remained committed to sourcing and producing the best quality Angus Hereford cross cattle. Raised on the lush pastures of the Gippsland area, they graze on nutrient rich rye grass and fresh clover. Because of the of the naturally nutrient rich diet the quality of the beef develops a greater amount of character and marbling. All their beef roam freely along these pastures and are free of hormones and antibiotics. Waves Pacific selects only their Premium Grade product which means a minimum marble score 3. We source our Japanese pork from the Saga Prefecture, thus the name Saga-Buta; Buta being the Japanese word for pork. They are raised along the Midori Mountains which overlook the Arkiake Sea. A white skinned pig that is composed of various breeds like Duroc, Middlewhite and Landrace, they were bred to produce superior pork that is also high in Vitamin B1. The farmers dedication to produce quality pork goes hand in hand with their desire to raise the pigs to be healthy well cared for animals. The producer of our suckling pig from Spain specialize solely on baby piglets that are fed on their mother's milk during the growth process. Because of this they are able to offer a variety of different suckling pork cuts. Australia is the home to some of the world’s best lamb. Waves Pacific works with a network of suppliers to supply Hong Kong with only the top quality lamb from Australia. All our lamb are raised on natural pastures without the use of hormones and antibiotics.